REYKJAVIK, ICELAND and OSLO, NORWAY -- (MARKET WIRE) -- November 24, 2005 -- Islandsbanki hf., Reykjavik, (ISB.IC), has today signed a letter of intent to buy all shares in Norse Securities ASA and Norse Kapitalforvaltning AS, thereby acquiring a foothold in the Norwegian securities brokerage sector. "Entry into the securities market and the brokerage sector has been our stated goal since acquiring KredittBanken in 2004 and BNbank in 2005. Norse has an impressive customer base, strong management and talented staff, and is a key factor in establishing the group's participation in the Norwegian capital market," commented Bjarni Armannsson, CEO of Islandsbanki. The acquisition of Norse, and the further growth that Islandsbanki seeks in related fields, will strengthen the bank in the areas of capital markets, structured products, corporate finance and real estate financing. "Creating profitable growth through targeted acquisitions in Norway is in good Islandsbanki tradition. Islandsbanki seeks further growth, and we plan to strengthen Norse in key areas, such as corporate finance. This is an area into which Norse aspires to expand, but has found it difficult to do without the strength of a bank as an owner," said Bjarni Armannsson. "Over a period of time, we have discussed how we could benefit from having a solid and well-reputed bank as new owners. 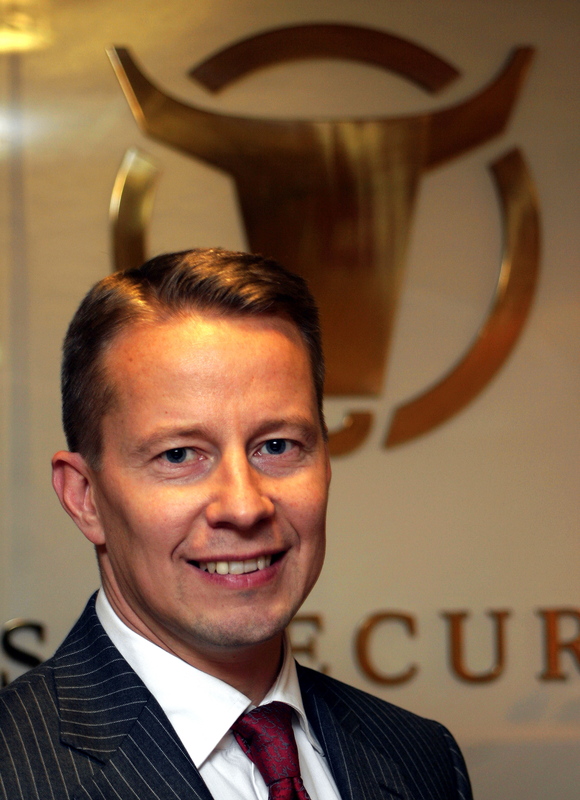 With Íslandsbanki as our owner, this is now a reality," said Stig A. Rognstad, CEO and owner of Norse, who will stay on as CEO of the company he has led since 1995. Islandsbanki plans to maintain Norse as a separate unit, aiming to secure Norse's core expertise, as Islandsbanki has been able to do following its other acquisitions in Norway, namely of BNbank and KredittBanken. "Furthermore, we will contribute to growth through cooperation between Norse and Islandsbanki's operations in Copenhagen, London, Luxembourg, Oslo and Reykjavik," said Bjarni Armannsson. Islandsbanki has defined Norway and Iceland as home markets, and the bank's ambitions in the Norwegian market are high. "We will continue to strengthen our position in the Norwegian market. This is an important step on the way, but we will continue to coordinate our operations and look at new opportunities," said Frank O. Reite Head of ISB Norway. Both sides to the sale have agreed not to disclose the price Islandsbanki pays for Norse. The acquisition is subject to ordinary conditions, including required regulatory approval and satisfactory due diligence. Norse has 47 employees and expects to generate total revenues of 130 million NOK in 2005. The company's chief goal is to provide brokerage services and portfolio and trading advice, enabling customers to maximise their stock market returns. Norse Securities has operated as a brokerage firm since 1973. The company's main focus is medium and large private customers and selected institutions. Norse Securities bases its investment advice on a combination of macro and finance market analysis and fundamental and technical analysis. Norse Securities provides weekly portfolio recommendations for Norway, Sweden and the USA as well as daily trading recommendations for all three markets. Norse Securities is recognised as a brokerage firm with a talented staff who are well aligned with customers' needs and who possess expertise in the fields of analysis, corporate finance and trading. Islandsbanki (ISB) is a leading Iceland-based financial group that offers universal banking. The bank has an office in Denmark, a branch in London and is the sole owner of two banks in Norway (BNbank and KredittBanken) and one in Luxembourg. The company is listed on the Iceland Stock Exchange. Islandsbanki has a market capitalization of approximately EUR 2.8 billion. Total assets at the end of September 2005 were EUR 17.7 billion. ISB recently announced record profits of EUR 244 million for the first three quarters of 2005, while ROE for the period was 34%.